Therefore, my brethren dearly beloved and longed for, my joy and crown, so stand fast in the Lord, my dearly beloved. 2 I beseech Euodias, and beseech Syntyche, that they be of the same mind in the Lord. 3 And I intreat thee also, true yokefellow, help those women which labored with me in the gospel, with Clement also, and with other my fellow laborers, whose names are in the book of life. 4 Rejoice in the Lord always: and again, I say, Rejoice. 5 Let your moderation be known unto all men. The Lord is at hand. 6 Be careful about nothing; but in everything by prayer and supplication with thanksgiving let your requests be made known unto God. 7 And the peace of God, which passes all understanding, shall keep your hearts and minds through Christ Jesus. Paul the apostle, in writing this epistle to the church at Philippi, pours out his heart to these saints – here in chapter 4 he calls them “dearly beloved” twice in verse 1; also “longed for” “my joy” and “my crown”. He exhorts them in this chapter to “stand fast”, “to rejoice in the LORD”, “to not be anxious for anything”. He encourages them to “prayer and supplication”, and to “thanksgiving”. He reminds them that the peace of God is available to them and can “keep their hearts and minds through Christ Jesus”. Then he says in vs. 8, “Finally. . .” and continues for 16 more verses! The Greek word for “finally” is loipon, meaning: “something remaining, move over; it doesn’t necessarily refer to a closure or ending of something, but rather more often it refers to something left remaining that has yet to be addressed or dealt with (By the way, be prepared to learn a lot more Greek today, because we are going to carefully examine key words in our text and what they mean in the original language of the New Testament!). If you’re taking notes, this is the same word ‘loipon’ he uses in 2 COR 13:11; EPH 6:10; PHIL 3:1 – and here in vs. 8 of Chapter 4. Also 2 THESS 3:1. The things that Paul has “yet to address” for the saints at Philippi are contained in these sixteen verses. They concern our thought life (vs. 8), obedience to Christ with Paul as an example and the resulting peace of God as we obey (vs. 9), our contentment in Christ – not our circumstances (vs. 10-13), charitable offerings to aid other churches and saints in need (vs. 14-18), fruit bearing (vs. 17), the abundant, endless provision our Father supplies for us according to His riches by Christ (vs. 19-20). I. Today we are going to examine the content of vs. 8-9: our thought life, how we need to conform minds to Christ by transformation through the power of the Holy Spirit – that is, the things that we think about, and what we think about what we think (ROM 12:1). II. We will also look at what we learn as disciples of the Word, what we see in the examples of Christ, of Paul (you can also consider other excellent examples of the saints in the Word and even living examples of mature saints that we know personally) and our obedience to the Word. Paul commends us to think along these lines; to meditate upon these things mentioned in vs. 8. Consider for a moment what biblical meditation is: to fill our minds with the Word of God, and to think, and re-think and think yet again on the truth of the Scriptures (not at all like Eastern meditation, where the objective is to clear the mind of all thought in preparation to receive mystical – [demonic] experiences, visions and altered states of consciousness. This meditational practice has invaded the church under the names of contemplative spirituality/prayer and the Spiritual Formation Movement – very prominent in Emergent Church philosophy and Roman Catholic dogma). We see throughout the Bible, God is instructing us to meditate on His Word, to think in spiritual – not sinful or carnal ways; that we are even able to think godly is because we are indwelt by the very Spirit of Christ and so in a valid sense, we have the mind of Christ (1 COR 2:16; PHIL 2:5). 8 This book of the law shall not depart out of thy mouth; but thou shalt meditate therein day and night, that thou mayest observe to do according to all that is written therein: for then thou shalt make thy way prosperous, and then thou shalt have good success. 9 Have not I commanded thee? Be strong and of a good courage; be not afraid, neither be thou dismayed [Paul said in PHIL 4:6 to be anxious for nothing]: for the Lord thy God is with thee whithersoever thou goest. 13 Till I come, give attendance to reading, to exhortation, to doctrine. 14 Neglect not the gift that is in thee, which was given thee by prophecy, with the laying on of the hands of the presbytery. 15 Meditate upon these things; give thyself wholly [completely] to them; that thy profiting may appear to all. 16 Take heed unto thyself, and unto the doctrine; continue in them: for in doing this thou shalt both save thyself, and them that hear thee. Blessed is the man that walketh not in the counsel of the ungodly, nor standeth in the way of sinners, nor sitteth in the seat of the scornful [these are the sinful and carnal ways of thinking, of the unredeemed]. 2 But his delight is in the law of the Lord; and in his law doth he meditate day and night [This results in the spiritual mind becoming strong in us, this way of thinking is putting on the mind of Christ]. 3 And he shall be like a tree planted by the rivers of water, that bringeth forth his fruit in his season; his leaf also shall not wither; and whatsoever he doeth shall prosper. 4 The ungodly are not so: but are like the chaff which the wind driveth away. 7. and one who instills strife among brethren. Think about the works of the flesh (GAL 5:19-21). 1) “whatsoever things are true”: (227) alethes – unconcealed, manifest, actual, true to fact, even Jesus’ enemies attested, in pretense, that He “is true and teaches the way of God in truth”. It is those things that conform to reality. The fancy $20-dollar word for this is ontological truth, which simply put means “whatever really is, is real” or putting it another way, “nothing unreal exists”. What ever things are true – think on these things: What do we know is absolute truth? The spiritual exclusive truth source that is contained in the approximately 1500 pages of your Bible! Think about that! 32 And what he [Jesus] hath seen and heard, that he testifieth; and no man receiveth his testimony. 33 He that hath received his testimony hath set to his seal to this, that God is true. 18 He that speaketh of himself seeketh his own glory: but he that seeketh his [the Father’s] glory that sent him [Jesus Christ], the same is true, and no unrighteousness is in him. 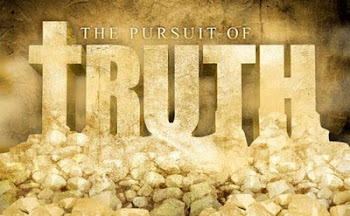 We also as followers of Jesus Who is Himself the Truth, should speak the truth in love (EPH 4:15). 2) “whatsoever things are honest”: (4586) semnos – venerable (being worthy of great respect), serious minded, someone with a sense of order, grace and dignity derived by his heavenly citizenship; majestic, awe-inspiring, someone that invites and attracts others, reverend, august. This is a perfect description of Christ, and for those who get to know Who He is, what He has done for us, and as we get to know Him more, we love Him more and want to know Him even more! HE is the First citizen of heaven, being its KING! And He exemplifies all the traits of the very Spirit of God, by Whom we are also born spiritually and enabled to have such traits. 14 And the Word [Logos] was made flesh, and dwelt among us, (and we beheld his glory, the glory as of the only begotten of the Father,) full of grace and truth. Religious prigs and sanctimonious ‘stuck-ups’ hardly ever attract sinners, unless maybe those sinners want to mock them. But look at Jesus! Sinners were attracted to Him! They invited Him over for dinner! Here was not some religious man, but Someone entirely different! Note that everyone that Jesus invited to follow Him, did so; most of them immediately – with one predominant exception: (MARK 10:17-23) the rich young ruler, because he had great possessions (which were his idols). 3) “whatsoever things are just”: (1342) ga’ah – to mount up, to rise, majestic, triumph, gloriously, to increase, exalted; EXOD. 15:1 “I will sing unto the LORD for He has triumphed gloriously”. Think about the Logos – God made flesh, surrounded by the storming Galilee, so fierce that it terrified well weathered, experienced fishermen like Peter, Andrew, James and John! When those waves arose like dark mountains of churning water, towering overhead and threatening to swallow the disciple’s boats, the LORD of Glory Himself arose and commanded the sea to “shut it!” And it obeyed! Read PSALM 68:1-4 and JOB 9:4-10. 31 Now is the judgment of this world: now shall the prince of this world [Satan] be cast out. 32 And I, if I be lifted up from the earth, will draw all men unto me. 33 This he said, signifying what death he should die. Exalted high, on a rough, blood stained cross, His body shredded into bloody strings of meat and exposed bones, pierced with iron spikes, on the hill of Golgotha – the pinnacle of love and grace of God was exhibited, revealing His greatest glory! And by humbling Himself so, dying for our sins – the Father exalted Him high above every name that could be named, crowned Him with many crowns, entitling Him as KING of Kings and LORD of Lords with the authority of both heaven and earth (up to that point, the earth was still officially under the rule of Satan (2 COR 4:4)) placed securely into His nail scarred, Almighty hands (PHIL 2:8-11)! Trod all our foes beneath His feet, By being trodden down. He Satan's power laid low: Made sin, He sin o'erthrew. Bowed to the grave, destroyed it so; And death by dying slew. Our inheritance, saints, is triumphant victory in Christ, exalted to the position of sons and daughters of God, increasing in Christ-likeness as we worship and submit to Him and learn and love Him (2 COR 2:14-17)! 4) “whatsoever things are pure”: (53) hagnos – clean, innocent, modest, perfect, chaste. Think once again upon the Lamb of God – a spotless Lamb, the Holy Lamb that calls us to holiness, entirely innocent (1 PET 1:15-16,19,22). The LORD told us plainly, only the pure of heart shall see God (MATT 5:8). Thank God that He purifies our hearts by His ministry of the Spirit of God and His Word as we yield to His will to do so. This is something the world doesn’t have – how remarkable are we saints to them, when they see purity in our lives! 5) “whatsoever things are lovely”: (4375) prosphiles – to be friendly towards, acceptable. This goes along with “honest” (semnos) – Jesus, Friend of sinners; God Himself, the Friend of Abraham (JAMES 2:23 “friend of God”). Think about the relationship that the LORD has with us: He no longer calls us servants, but friends (JOHN 15:15). Think about how GOD Himself desires to be, and through Christ, IS our beloved, faithful, loyal and truest Friend. How much more so, should we demonstrate friendliness as ambassadors of Christ (2 COR 5:20), to the lost, rebellious souls of this world (JOHN 3:19-21; EPH 5:6)! 6) “whatsoever things are of good report”: (2163) euphemos – to be well spoken of, of good report, reputable. 52 And Jesus increased in wisdom and stature, and in favor with God and man. 46 Which one of you convicts Me of sin? If I speak truth, why do you not believe Me? So likewise we as His followers should be above reproach, having godly character demonstrated before the world – letting our light shine before them, so our good works may be seen and glorify God (MATT 5:16). 7) “if there be any virtue”: (703) arete – manliness, valor, moral goodness, renowned excellence; an essential quality in the exercise of faith. Unless you’re talking about the US Marine Corp, we don’t usually hear the word ‘valor’ but it means “showing great courage in the face of danger, particularly the battlefield”. I think if any people could give the Marines a run for the money, and even outshine them, it would be the faithful Christian martyrs who died for their faith, throughout the centuries! Let us demonstrate valor in these dark days, living boldly for the LORD, allowing His light to shine through us! 9 And this I pray, that your love may abound yet more and more in knowledge and in all judgment; 10 That ye may approve things that are excellent; that ye may be sincere and without offence till the day of Christ. 11 Being filled with the fruits of righteousness, which are by Jesus Christ, unto the glory and praise of God. 12 That we should be to the praise of his glory, who first trusted in Christ. 13 In whom ye also trusted, after that ye heard the word of truth, the gospel of your salvation: in whom also after that ye believed, ye were sealed with that holy Spirit of promise, 14 Which is the earnest of our inheritance until the redemption of the purchased possession, unto the praise of his glory. The disciples not only learned vast wealth of doctrinal truth from Paul, but saw it demonstrated by his life, and heard from others regarding his outstanding reputation. Similarly, as Luke recorded in ACTS 1:1, documenting the observations of the disciples of Jesus, when he wrote these things down in his Gospel account for his master Theophilus: “The former treatise have I made, O Theophilus, of all that Jesus began both to do and teach . . .”. Paul’s integrity and faithfulness to the LORD was of such high quality, that he could confidently instruct the saints at Corinth to. . .
Be ye followers of me, even as I also am of Christ. That is, to see Paul as an example in the way that he followed Christ, that we should follow Christ in the same way he did. We learn of Jesus through the teachings of pastors and Bible teachers, but also from the LORD Himself (EPH 4:21), as we, His disciples, read and study His Word for ourselves! This learning of knowledge is not merely in knowing Jesus more, but also in applying what we have learned: that is the definition of a disciple who continues in the doctrine of His Word: we continue to read, study and apply His Word of truth and grace, and grow in knowledge and grace as a result (2 PET 3:18). Remember: what are the first two letters of the word, ‘doctrine’? But be ye doers of the word, and not hearers only, deceiving your own selves. We receive from the LORD as well as from His pastor/teachers the doctrine of the Word, much as one receives the passing of a baton in a race (HEB 12:1) – these precious truths are handed over to us and we receive, we take them, and venture ahead and continue the race, towards the prize of the high calling of God each of us has from the LORD, to fulfill His good will and perfect plan He has in store for our lives! Think about how we love the LORD, how we desire Him and long to please Him with our lives of loving obedience and then “do the doctrine” with that as our motive; we are assured of standing firmly on the Rock, the LORD Jesus Himself, and so no storm of life or Satan’s own making can threaten us, much less budge us (MATT 7:24)! And we can certainly know by faith that “the God if peace [is with us]”. 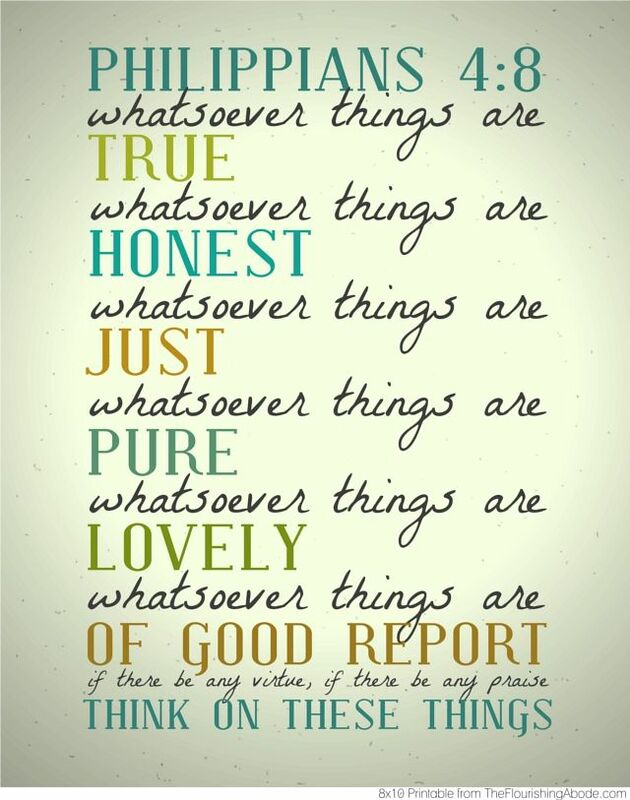 So, think on these things, and in meditating on them, be blessed! Amen! 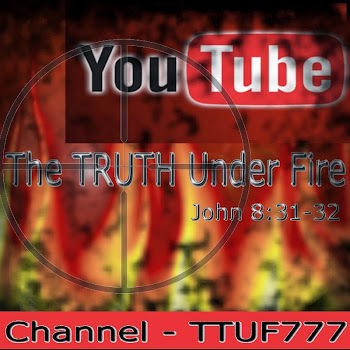 TTUF: The Simple and Serious Gospel of Salvation – Phase II The Sanctifier is the Saint's Fire - Part I, Part II and Part III. Also, FROM The MIND of FIRE: HOLY LIFE or Hypocritical Legalism?